Help Uncle Milton Launch A New Marvel Experience: Avengers Tesseract 20Q! You are here: Home / FREEbies / Help Uncle Milton Launch A New Marvel Experience: Avengers Tesseract 20Q! 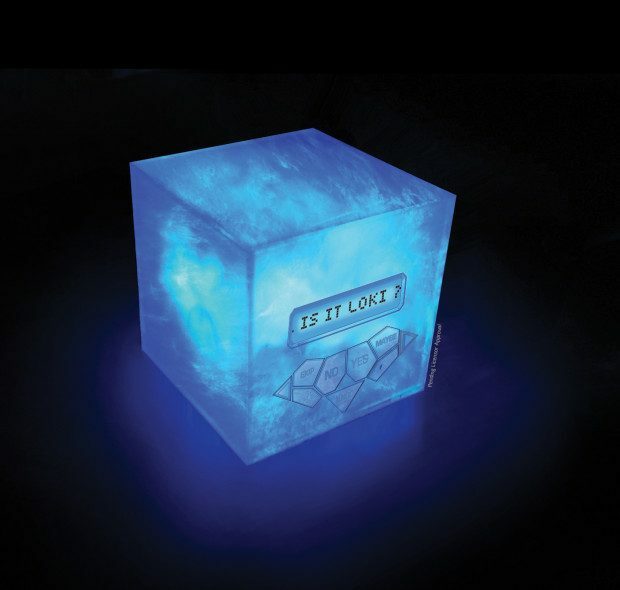 Fans can help create a Marvel Avengers Tesseract 20Q! Marvel Avengers fans, assemble! 20Q, the hugely popular online artificial intelligence (A.I.) that can “read your mind,” has partnered with Uncle Milton Industries, Inc., creators of the Marvel Secret Tech Labs line of science activity toys, to bring players the all-knowing Marvel Avengers Tesseract 20Q game. Now fans can be part of creating this new Tesseract 20Q as they test their Marvel knowledge and see if they can outsmart 20Q! Just visit 20q.net, click on the Marvel logo and follow the instructions. Think of any being, location or technology from the Marvel Universe including the Avengers, Ant-Man, and Guardians of the Galaxy, and 20Q will guess what you are thinking in 20 questions or you win! The more times you play, the smarter the artificial intelligence of the Tesseract will become. Not even the likes of Jarvis, Nick Fury, or Star-Lord are safe from 20Q’s powerful mind reading abilities. This collaboration of the all-knowing 20Q technology and the Marvel Universe is a fitting one. The eerily precise game will leave fans scratching their heads in wonder of 20Q’s ability to guess what they are thinking. Look for the Avengers Tesseract 20Q on store shelves beginning in Fall, 2016. Visit http://20Q.net/marvel now and try to stump the amazing Marvel 20Q.